Home / Verbal / BonChoix - Premium Beauty Box Just Launched! BonChoix - Premium Beauty Box Just Launched! New Online Store For High Street & Premium Brand Cosmetics Launches. BonChoix, a new UK-based online store offering high street and premium brand cosmetics in beauty boxes has launched! The concept of beauty boxes is hardly new, with existing companies charging subscriptions for a monthly box, but BonChoix charges no subscriptions and allows customers a complete choice of products. Those who shop online for cosmetics but who would rather avoid bargain-basement websites should come to BonChoix, he says. A range of high street brands will be appearing soon, among them Maybelline, MaxFactor, L’Oreal, Rimmel and Revlon. Market research indicates that many online shoppers are put off by charges for deliveries and returns, and other hidden costs. The British are among the biggest online shoppers in the world, with more than a third of them purchasing beauty and personal care products online, and BonChoix sees exciting possibilities for the future. BonChoix is not just another beauty box company. I went straight over to check BonChoix’s website out and its really easy to navigate around. Clear menu tabs can be seen at the top and keeping your cursor over an option, especially over the "female cosmetics", three options will appear in a drop down menu. You can build your own box, make your own kit or select one of BonChoix’s sets, the choice is yours. 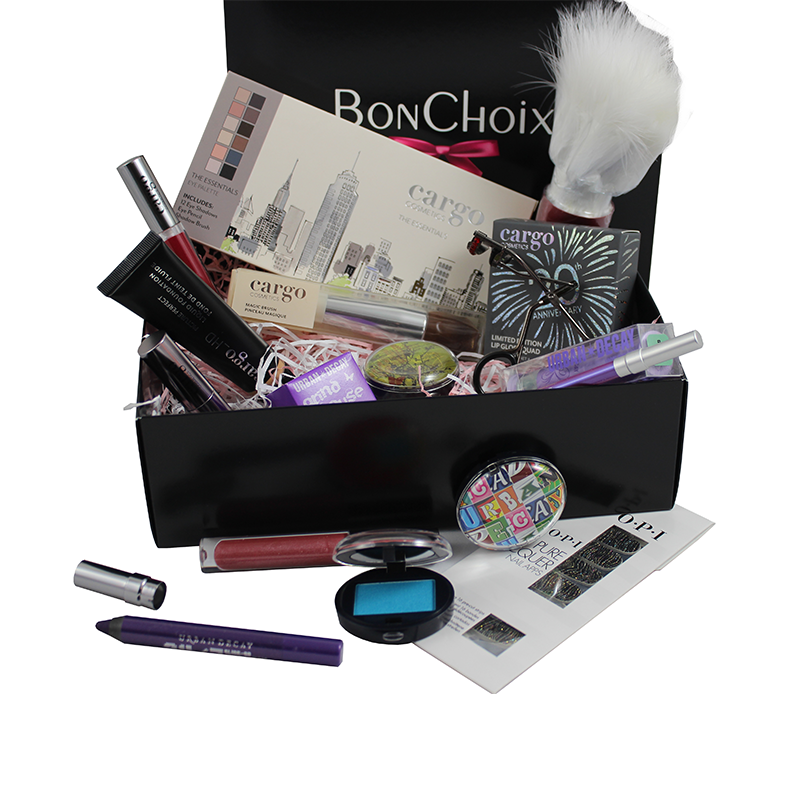 Selecting either 5 to 8 items of your choice and also offering a non subscription, certainly does make BonChoix a premium feel to the beauty box industry without people having to pay extra for it! Its not just for the females, so keep an eye out when BonChoix launch male fragrances and cosmetics! Be one of the first to Check out BonChoix’s online premium beauty box store and have your cosmetics delivered straight to your door! X Neil.